The Bonk Show – What happens when the 3 Stooges meet Jeopardy??? The Bonk Show! This hysterical, audience participation game show will have your guests laughing and rolling in the aisles (at least when they’re not getting “bonked”). Designed to encourage repeat attendance, a grand prize can be awarded each week (or at the end of your fair) for the winner of the Bonk Off (participants selected from the earlier winners – up to 9 per day). Customizable sets allow for pricing to fit within your budget and modified size configurations to fit your stage. 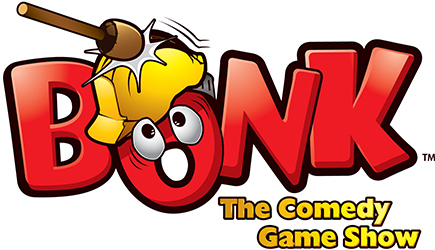 Bring this show to your event, but don’t let yourself get Bonked!